We all know that it is important to take care of our bodies. With the hectic nature of our daily lives, it is easy to ignore our physical health. Between work, travel, social, and home responsibilities, all too often, we only pay attention when an illness or injury strikes. 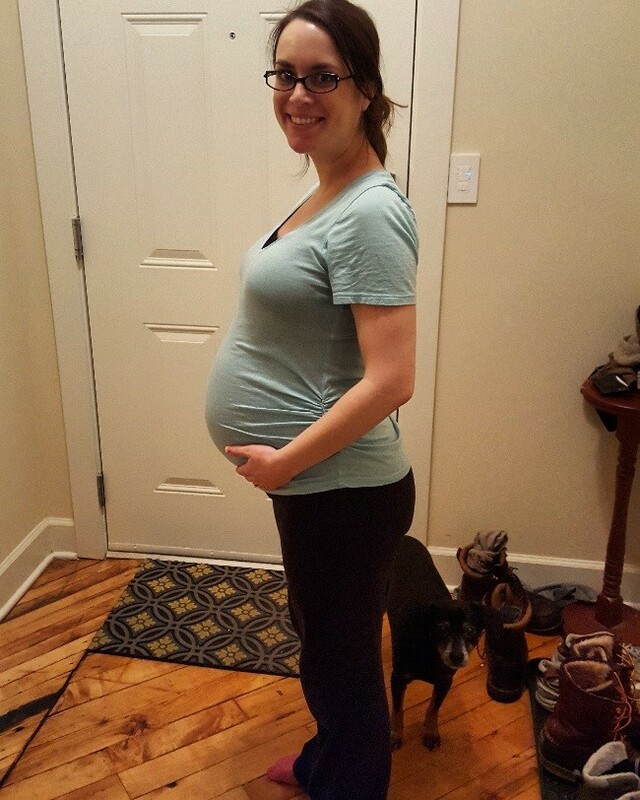 For me, I was forced to pay attention by my twin pregnancy. I had become complacent about my physical health and, dare I say, lazy? But all of a sudden, I not only had to worry about my health but the health of two babies relying solely on me for all their needs. Over the past 8 months, I have incorporated a few strategies that have made a huge difference in the way I feel physically. In fact, they worked so well for me that I plan to continue these beyond my pregnancy. Regardless of whether or not you are expecting, these three strategies can easily be incorporated into any busy life. Feeling Zen after prenatal yoga/Riley asking is it time for our walk yet??? This is has been my most life changing strategy. Grazing throughout the day has helped to keep my energy levels up and my acid reflux down. The easiest way I have found to do this is by bringing to work Tupperware with multiple compartments (AKA bento boxes) filled with foods like fruits, vegetables, crackers and cheese, and nuts. Along with changing the way I eat, I also bought a larger 32oz water bottle to ensure that I was staying well hydrated throughout the day. While at work, I would strive to drink two fills of my 24oz water bottle. I kept that same goal with my new 32oz water bottle, and get an extra 16oz of water a day without even thinking about it. After our Recovery Supports Division retreat yoga class with Janine at 365Fit, I decided to sign up for her weekly prenatal yoga class. Yoga teaches you to match your breath with your movement. Focusing on breath work is a surefire way to bring down stress levels and make you feel relaxed. Given this, I began to look forward to my yoga class each week as a way to relax and unwind, while also building my strength and flexibility. My husband and I used to take turns walking our dog Riley. I always thought of it as just another chore that had to be done. I always dreaded going out into the cold with him during the winter months. Later in my pregnancy, my husband and I started doing these daily dog walks together every evening. Instead of dreading it and fighting over whose turn it was we began to look forward to it. It became a time to reconnect and chat about our day, while also getting in some much needed exercise. Even if you do not have a dog, a daily evening walk with your significant other or a friend can be an easy and fun way to take care of your physical health.